It seems like a new skin care product line hits the shelves every other day. The skin care aisle at your local grocery store is becoming more and more overwhelming each time you go, but you never know which skin care products to get. Which ones actually work? Which are best for your skin? How are you supposed to know the difference between the many products available in one brand? Skin care is a tricky thing. With so many different types of skin, skin conditions, and skin care products, how are you ever supposed to know how to properly care for your skin? We understand the challenge of trying to find the right products for you and your skin, and that is why we want to help. At Azeal Dermatology Institute, we understand skin and how to properly care for it. We are your Top Rated Local® dermatologist in Boulder and we can help you create a skin care routine that will help your skin look better than ever. Here in Colorado, the weather can be harsh and winters can cause our skin to become dry and easily irritated. In our last blog, we discussed how to best care for your skin throughout the winter, keeping it hydrated and healthy. But you want to know how to to care for your skin year round. You also probably want to know what the best skin care products are. Well, Azeal can help! We understand skin, and we know what products can best improve your skin’s health. 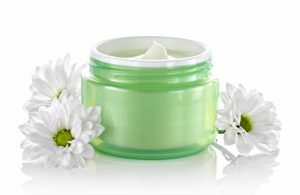 In this blog, we will go over some of the skin care products to look for, what ingredients are best for your skin, and which you should stay away from. Read on to learn more and schedule an appointment with us to learn more about your skin and how to care for it. The first step to caring for your skin is to know your skin type. There are a few different skin types—dry, oily, normal, combination, and sensitive. A majority of people have combination skin, which is generally a combination of oily and dry skin but can also be a combination of oily and normal or dry and normal. 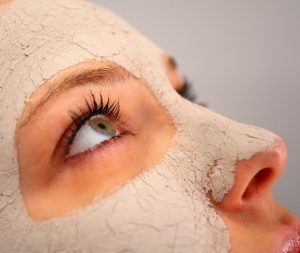 Combination skin has what is called a “T-zone”, an area of the face (from the forehead to the chin, creating a “T” shape) that will be dry while the rest is oily, for example. Oily and dry skin are pretty self explanatory, as is sensitive skin. However, normal skin is not. If you have normal skin, you are lucky, your skin will be nearly perfect, with small pores, no dry or oily patches, and an even complexion. Determining the type of skin you have may seem pretty simple, but it is easy to misdiagnose your skin. While combination is the most common type of skin, it is also the most difficult to diagnose. To ensure you know which skin type you actually have, see an expert. Our Boulder dermatology professionals can help you determine the type of skin you have, without any misdiagnosing it. This is the first step to healthy and beautiful skin. Once you know your skin type, it should be easier to know which products to use. Find skin care products that are formulated for your skin type, these will help make your skin healthier and look better. Remember, you don’t need 10 different skin care products to care for your skin. A cleanser, a daily moisturizer, and a night cream are all you truly need. Find these products for your skin type and test them out. If you have sensitive skin and are not sure what causes it to become irritated, then you should spot test different products on your skin to see how it reacts, rather than using them all over and hoping you don’t have a reaction. Once you find products that work, keep using them to see how they affect your skin over time. Some may work better than others and it is okay to try different types. For your daily skin moisturizer, be sure to find something with sunscreen, we can never stress enough how this can help your skin. Alpha-hydroxy acid (AHAs)– these acids include glycolic, lactic, tartaric, and citric acids. This ingredient can help with everything from evening complexion to shrinking pores. Beta-hydroxy acid (salicylic acid)– this ingredient can help your skin be removing dead skin cells, improving the texture, reducing acne, and helping to reduce signs of sun damage. Kojic Acid- reduce the appearance of age spots and treat your pigment problems with this ingredient. L-Ascorbic Acid- this is a form of Vitamin C that is actually useful in your skin care products. It helps with stimulating the production of collagen and minimizes fine lines and wrinkles. Hydroquinone– this ingredient is used in skin care products that help with hyperpigmentation, it helps with age and sun spots. These are only a few of the ingredients found in skin care products that can help to improve the health of your skin. If you want to find the best skin care products, search for these ingredients listed on the back of the product and make sure they are active. They can help to improve the overall health, look, and feel of your skin. There are many skin care products out there that you should avoid. It seems like every celebrity has created their own skin care line and makes the claim that they are natural, organic, and safe. But who can you trust? Honestly, you will have to take a peek at the ingredients to find out which products are good and which are not. But Azeal also recommends using products created by skin professional. Parabéns- this ingredient is used to stop the growth of bacteria but they also have estrogen-mimicking properties which have been associated with an increased risk of breast cancer. Synthetic colors- you will see these written on products as D&C Red 27. They are suspected to be a human carcinogen and skin irritant. Formaldehyde- these are also used to prevent the growth of bacteria, but they are also a human carcinogen, can cause allergic reactions in the skin, and harm the immune system. Fragrances- these fragrances are made with a concoction of chemicals that are hazardous to your health and can be irritating to your skin. Again, these are only a few of the many ingredient you should avoid in your skin care products. The best way to find out what your skin care products contain is to read the label. You can determine if it is a health product or not. Or you can shop through Azeal’s online store to find our favorite skin care products that have healthy ingredients for your skin! We know that your skin’s health is important, which is why we want to help! Schedule your appointment at Azeal Dermatology Institute in Boulder to learn more about your skin and how to best care for it! Contact us today and start taking care of your skin! Healthy and happy skin is possible, you just have to know the best care and products for your skin type.